There are a few essentials that a lady should never be without in her boudoir; items such as a touch of lace, creamy satin or a bit of marabou to make you feel absolutely feminine. As spring is on our doorstep I have been adding accent pieces to various rooms by exchanging throws for blankets on sofas and adding soft colored pillows to chairs. These personal choices give the house a level of comfort, especially since it is that time of year where you want to be surrounded by lovely soft things in light colors. No home is complete without the added touch of flowers strategically placed in various rooms. 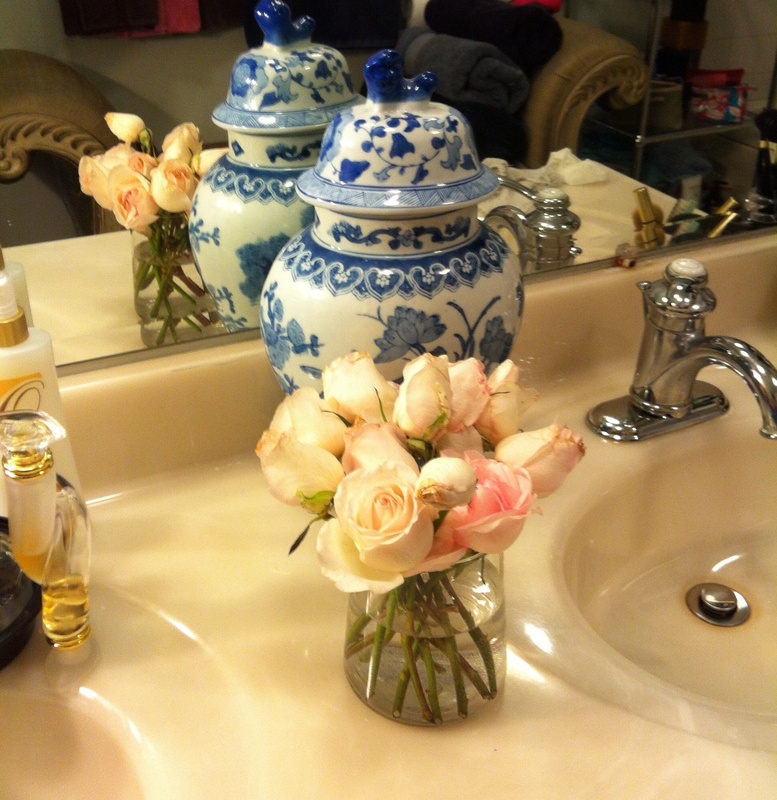 I could not resist placing this group of soft pink roses in the bathroom! This Natori chemise in its gorgeous, glorious color of fuchsia with gold trim is not only a fabulous garment to wear, but I enjoy hanging this piece on a satin hanger over my armoire for decorative purposes. 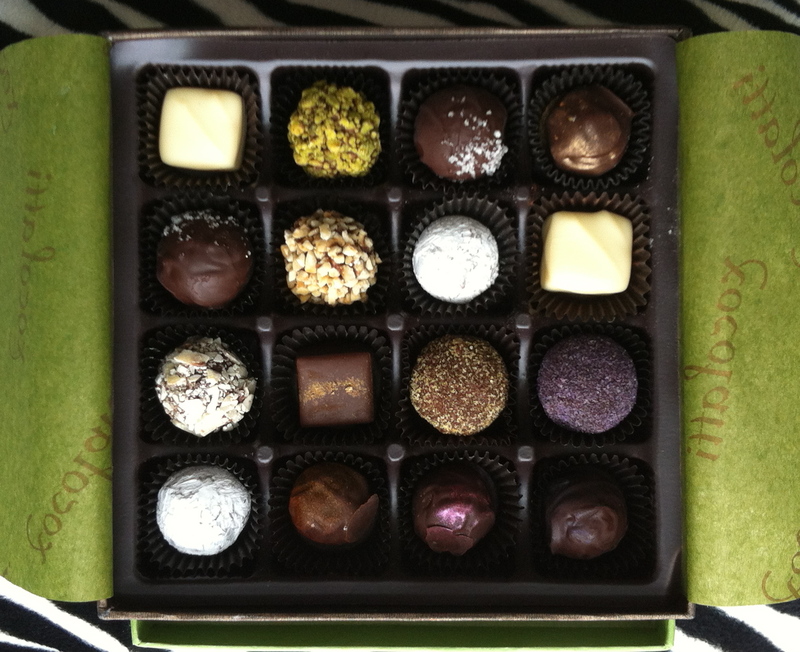 Now… who can end the day without choosing a decadent piece of chocolate? These items are the ultimate accent pieces. 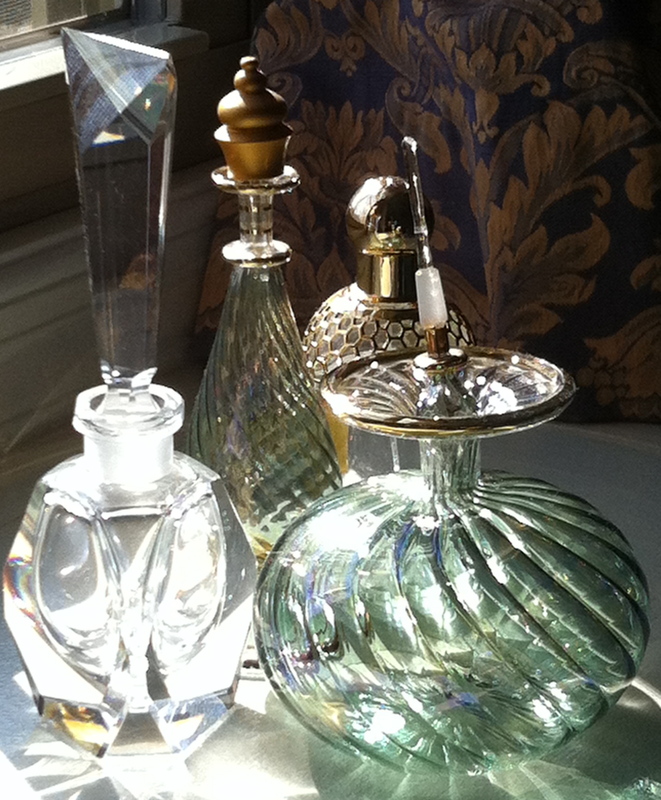 Fabulous pix that offer a feel of opulence within a practical approach to beautifying your corner of the house. Instead of chocolates I have been gorging on Girl Scout cookies. Same results though. Keep the posts coming! Thanks for being the first to comment and I too have a small stash of Girl Scout cookies!!! Hello there, I have to comment on that bathroom of yours. Am I mistaken or is that Queen Elizabeth’s bathroom at Buckingham Palace. Hahahahaha………and those perfume bottles. Go Venice……..Nice pics, Stylish Heath.